Traveling can reinvigorate a yoga practice — it can offer the opportunity to flow somewhere new; a chance to connect with fellow yogis at a yoga retreat; or even the challenge of taking your practice off the mat to tap into that inner zen when travel mishaps occur. The benefits of taking your practice on the go are limitless, so here are 10 must-haves for yogis to do just that. 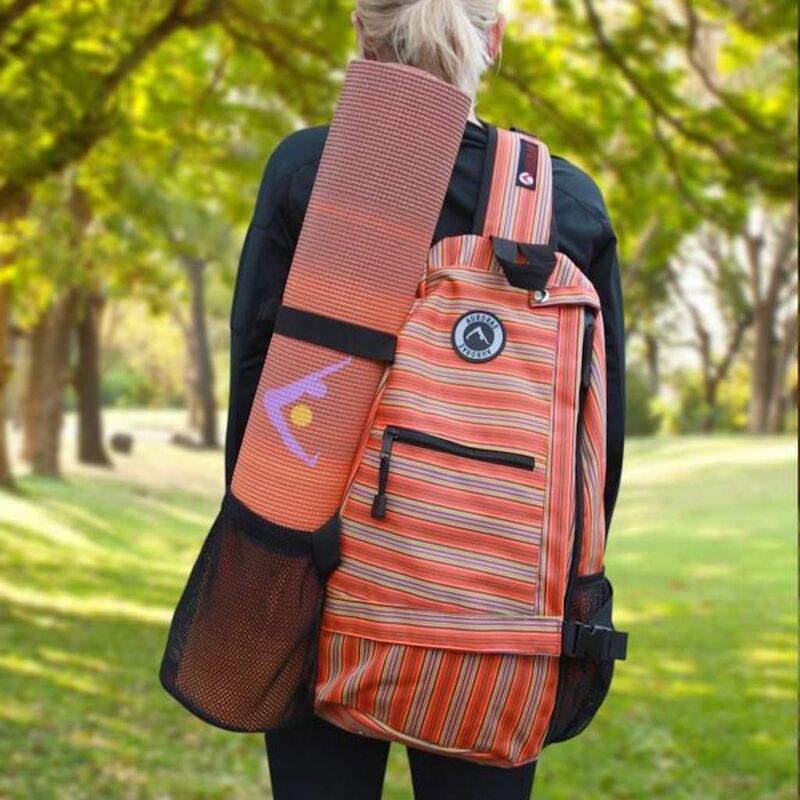 A yoga mat bag is a staple item to keep all of the essentials (your mat, straps, a block, water, snacks, etc.) in one and easily-accessible place. For plane travel, opt for a bag such as the one on the picture above from Aurorae; it holds the mat vertically, rather than horizontally, which will make it easier to slide into an overhead compartment or under a seat. Taking your mat somewhere new means it’s going to be exposed to new elements. Whether it’s salty ocean air, a hotel room floor, or an airport lounge — if you’re putting your bare skin on your mat, you’re going to want it to be as clean as possible. 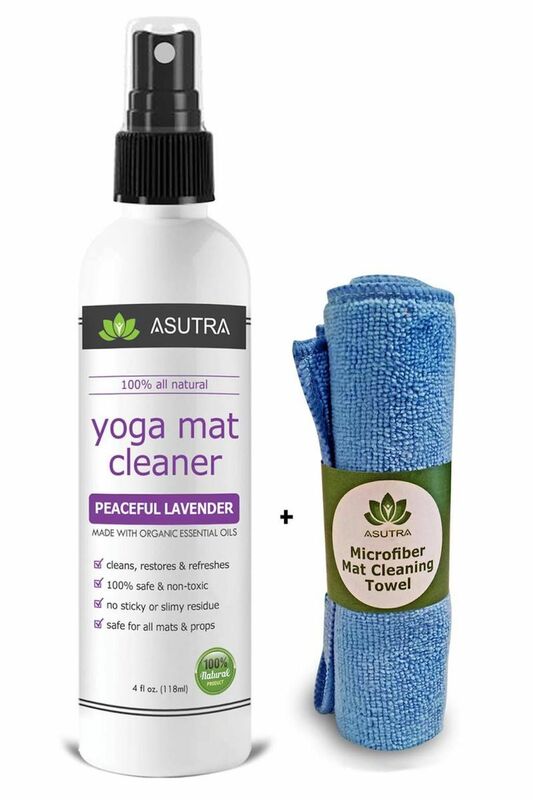 In addition to keeping it clean, a yoga mat spray, like this all-natural lavender option from ASUTRA can have a therapeutic, calming quality (bonus: it comes with a towel). If you’re low on available real estate in your luggage, a travel-friendly yoga mat will help you save space. There are foldable options, but it’s important to remember that this space-saving alternative does come with a caveat — these mats are thinner than the average yoga mat. If you need a little extra cushion, consider adding a yoga towel on top of your mat. This option from Yogitotes on Athleta’s website has silicon backing to prevent slipping. 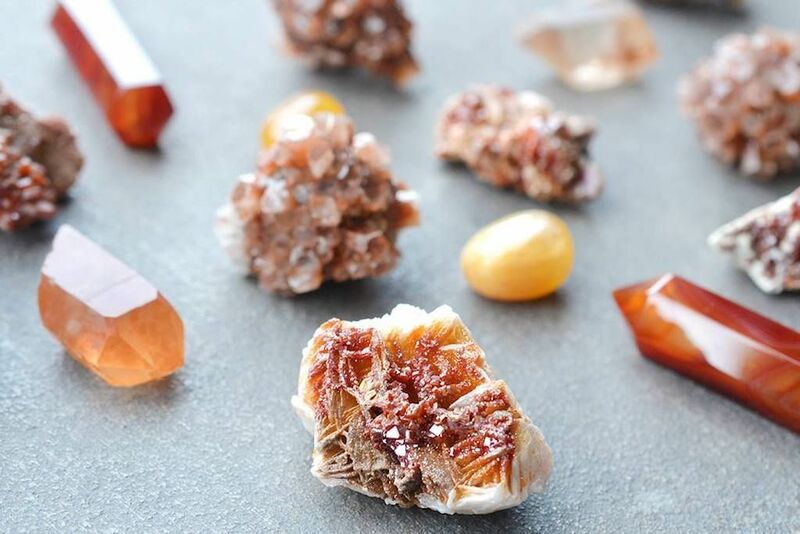 Crystals can serve a multitude of purposes — to lay with in savasana for clarity and calming, to place on your mat to feel grounded and connected to the new space you’re practicing in, to meditate with pre or post-practice. It’s easy to feel a little lost when traveling, and the right crystal may be the perfect companion to keep you feeling centered. Check out Energy Muse for a complete collection. You’re bound to be inspired when you take your practice somewhere new. 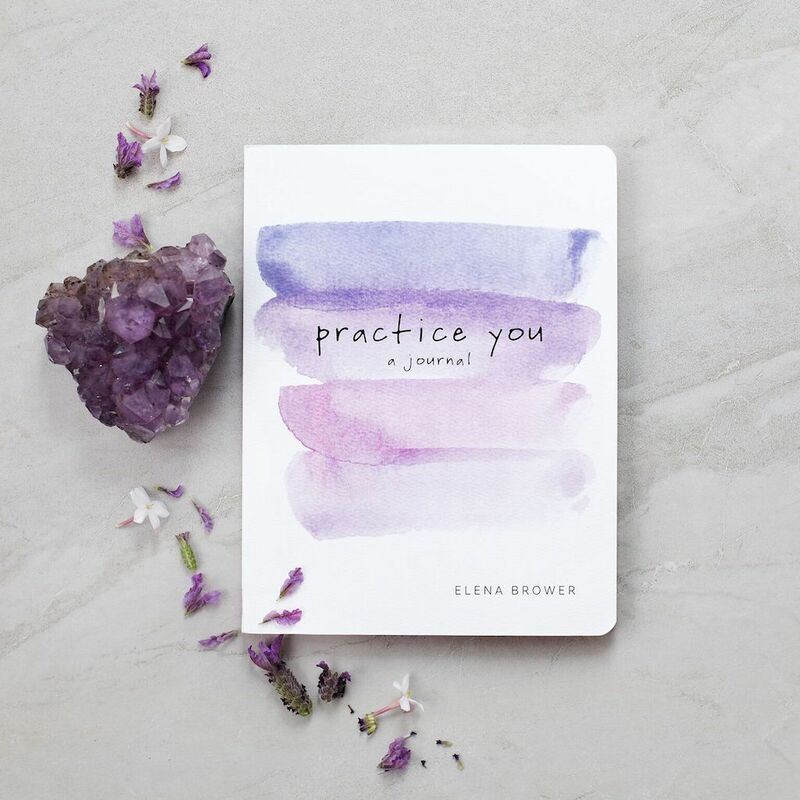 Traveling with a journal such as Practice You will help you record new perspectives gained from time on and off the mat. When burned, Palo Santo wood can be used to cleanse energy, and its earthy scent has also been said to be quite grounding and calming. 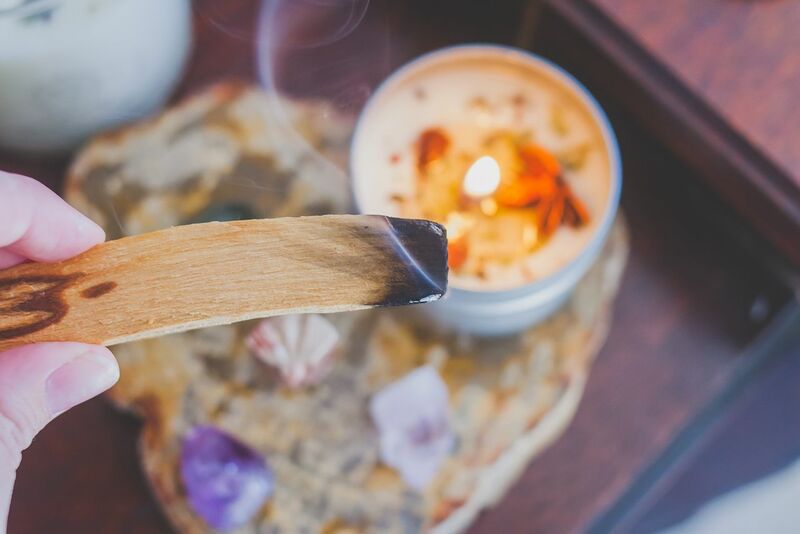 Palo Santo is also a great alternative to sage (which can have a very strong scent), and it’s also a bit sturdier, making it easier to travel with. Whether you need to tune out surrounding sounds, or you just want to tune into your favorite playlist, bluetooth or wireless headphones can help. With these, you won’t have to worry about being a wire-tangled warrior. Flow in peace, and to whatever sound you like. We recommend these wireless headphones from BOSE. If you can’t fit a mat, or a yoga towel into your luggage, consider packing a set of yoga socks or gloves instead. These accessories have grip to help you flow safely and slip-free on any surface. YogaPaws offer stability and comfort (there are two different thickness options), and come in a variety of sizes. 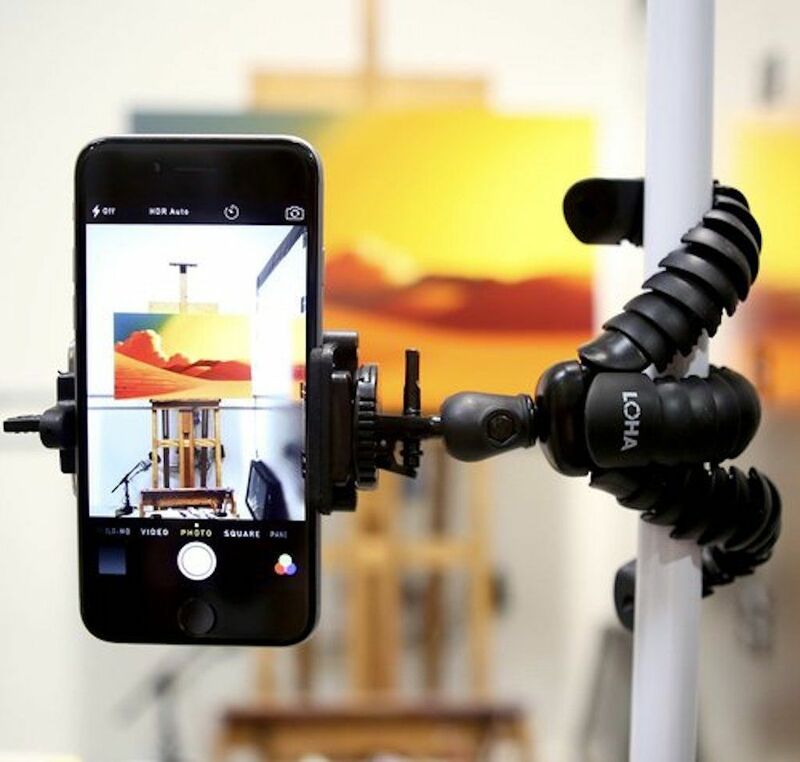 Whether you want to capture that shot of your tree pose in a forest; your strong, grounded mountain pose at the top of a pristine peak; or you just want to tune in to your favorite yoga channels remotely, a portable phone stand can come in handy. This one from LOHA is a great all-rounder. Download a meditation app and have a little zen at your fingertips. Apps like Calm and Headspace come free — though some courses are free while others aren’t — and are highly recommended. 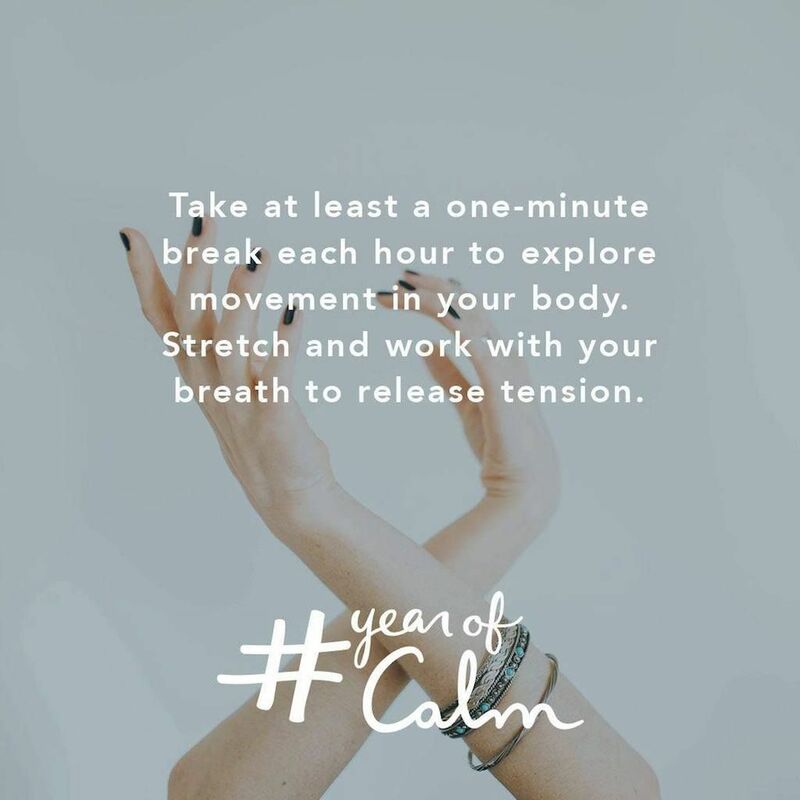 They also offer guided meditations, which can be extra helpful if you’re struggling to slip into serenity on your own.